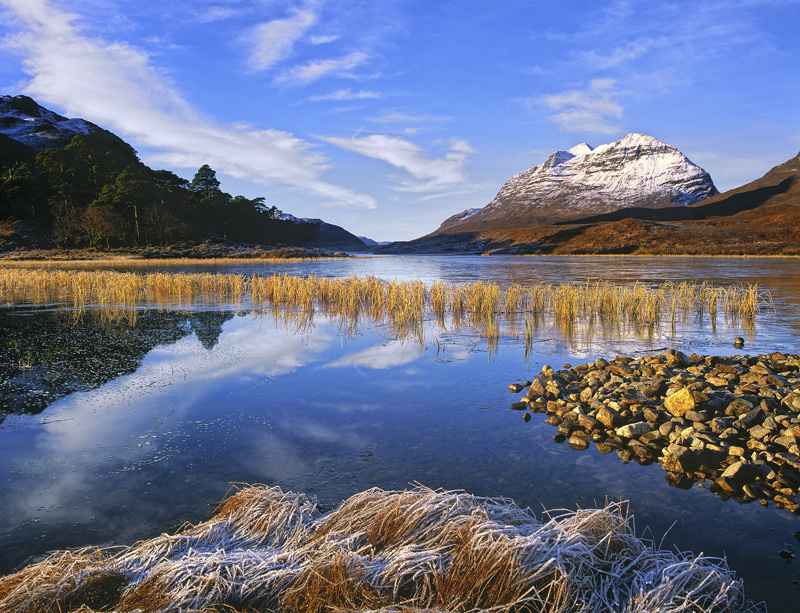 A perfect winter dawn which I had largely to myself breathed a crispy frosted jacket of ice over the loch side reeds and grasses and partially froze the surface of Loch Clair. I watched the rising sun clamber down the side of the hill and light up first those wind twisted Scots pine and then the golden stems of the reed bed. The final icing on this gorgeous cake was the stunning cloud flecked sky and the snowy jacket on Liathach looming over the loch. Winter certainly breathed it's magic into Loch Clair.